I’m glad to announce the second release and the second port of one of my software in Qt5 after the Ascii Design latest version. 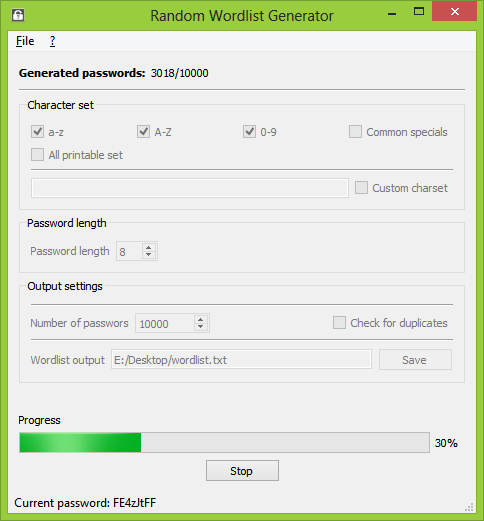 Random Wordlist Generator, the multiplatform program useful for generating random passwords to test your wireless security, can now be compiled with Qt5 from source. The Windows binary version includes the latest Qt5 libraries so there are no relevant changes.